DuckDuckGo, the search engine for privacy lovers, has implemented a new feature that allows bitcoiners to check their balances simply by dropping their public address in the search box. While finding your latest balance can be done via your wallet or block chain explorer services such as Blockchain, DuckDuckGo, which requires no login, can make the process far quicker and simpler. For users that make DuckDuckGo the default search engine in their browser, checking a balance is as simple as pasting the address into the search box and hitting the ‘return’ key. One further, and possibly useful feature, is that the search engine will also pull up a list of websites featuring the bitcoin key in question. Since the revelations of extensive surveillance of web search histories by the NSA Prism data mining programme, as revealed by Edward Snowden in May 2013, along with increasing awareness of user tracking and biasing of results by search engines such as Google, public concerns over online privacy have skyrocketed. Even for people who normally have no serious concerns about privacy, seeing ads turn up for items they typed into a search box days or weeks ago can be plain creepy. 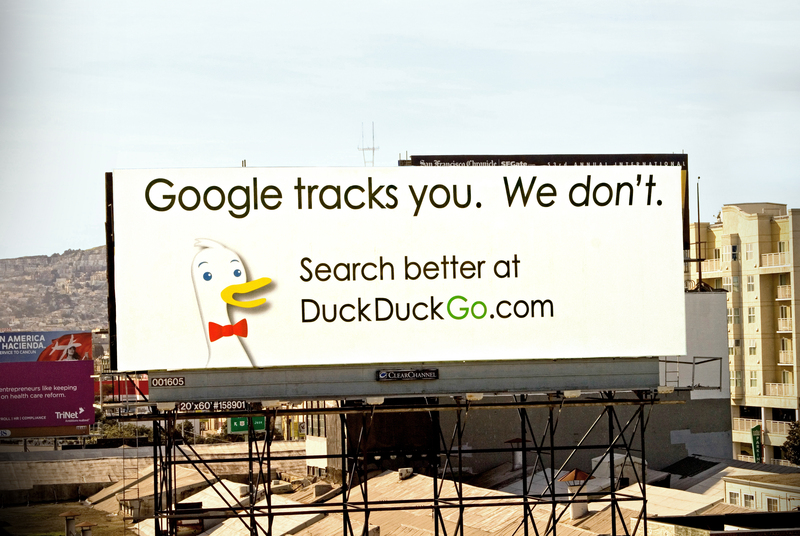 DuckDuckGo – which goes by the slogan, “The search engine that does not track you” – has capitalised greatly over such fears, taking the bold move of refusing to log either users’ searches or their IP addresses, meaning your search history is only saved locally in your browser and no one can see who is making the search. Furthermore, popular search engines often track searches and tailor later results based user profiling in order to target their ads. This means two people will often get different search results from identical search terms. DuckDuckGo, however, refuses to engage in creating these ‘filter bubbles’ and aims to provide the same results for every user. The site also attempts to provide better quality search results, removing ‘clutter’ such as posts from social networks. Since 2010, the site’s traffic has been growing steadily and, with over 1 billion search queries made last year, has become one of the few search engine’s to be knocking a growing dent in Google’s vast visitor numbers. 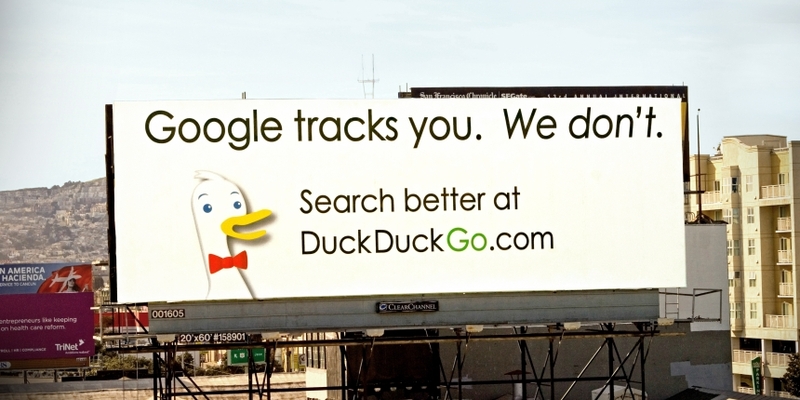 The company profited early on from a clever ad campaign in which it place billboards in San Francisco challenging Google on privacy (B) and saw visitor numbers increase markedly. 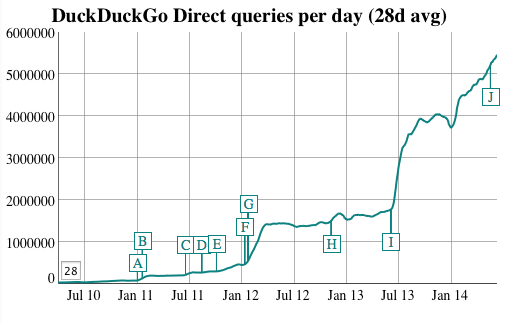 The privacy features of the site have been much more significant, though, with DuckDuckGo’s user traffic peaking sharply at Google’s announcement that it was storing user histories (G) and Edward Snowden’s later NSA revelations (I). Apple’s recent announcement that DuckDuckGo can be selected to replace Google as the default search engine in OS X and iOS 8 surely won’t do its growth curve any harm, either. DuckDuckGo, which is named after the playground game ‘Duck, Duck, Goose’, was founded by Gabriel Weinberg in February 2008 in Pennsylvania, USA. Weinberg bootstrapped the project using his own funds until October 2011, when Union Square Ventures and other angel investors provided the company’s first investment of $3m, according to CrunchBase. This funding has enabled the team to expand to around 20 employees.